As it evolved from a start-up business into a global provider of accounting software, Xero experienced a range of growing pains. Rapidly increasing staff numbers and an expanding geographic footprint meant the company’s IT team had to work hard to ensure an appropriate infrastructure was in place. 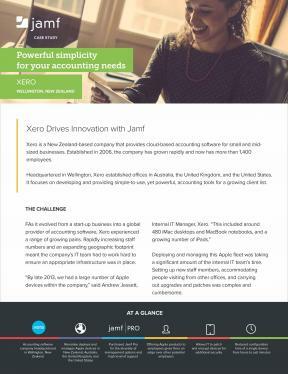 Download the pdf to see how Xero used a mobile device management solution to manage their global fleet of Apple devices.